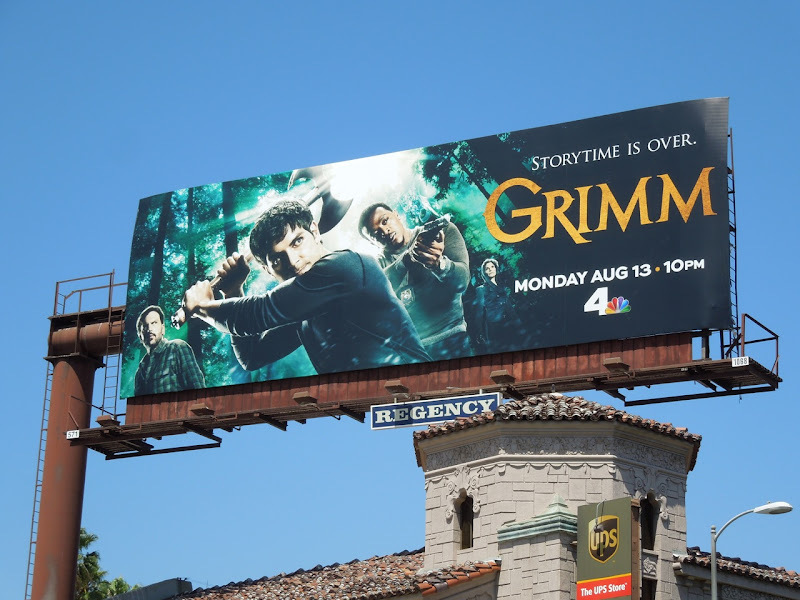 Grimm is back for its sophomore season and the fairytale inspired cop show helps us kick off another TV WEEK here at Daily Billboard. 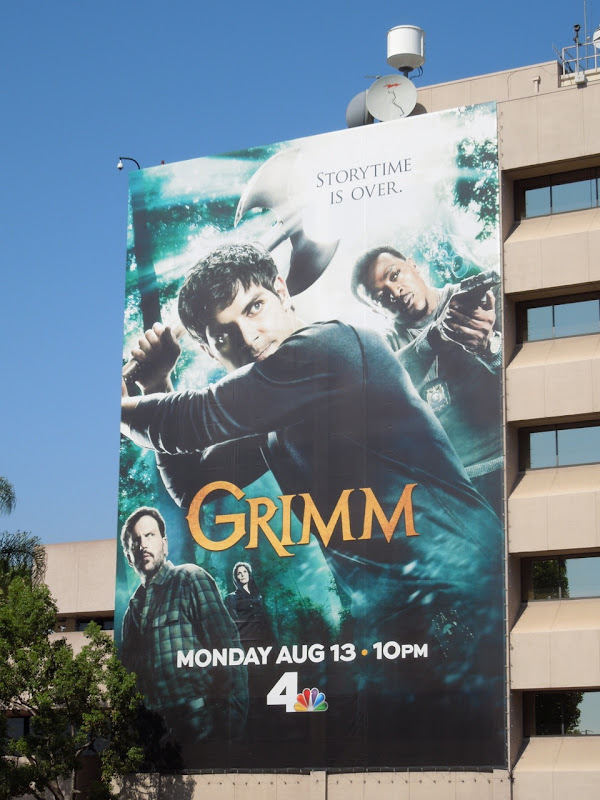 It doesn't feel that long that Grimm has been off our screens and NBC's fantasy crime procedural left us with a few dangling plot strands at the end of the first season, like the fate of 'Homicide Detective Nick Burkhardt's' girlfriend 'Juliette' and the surprise return of his long-thought-dead mother. 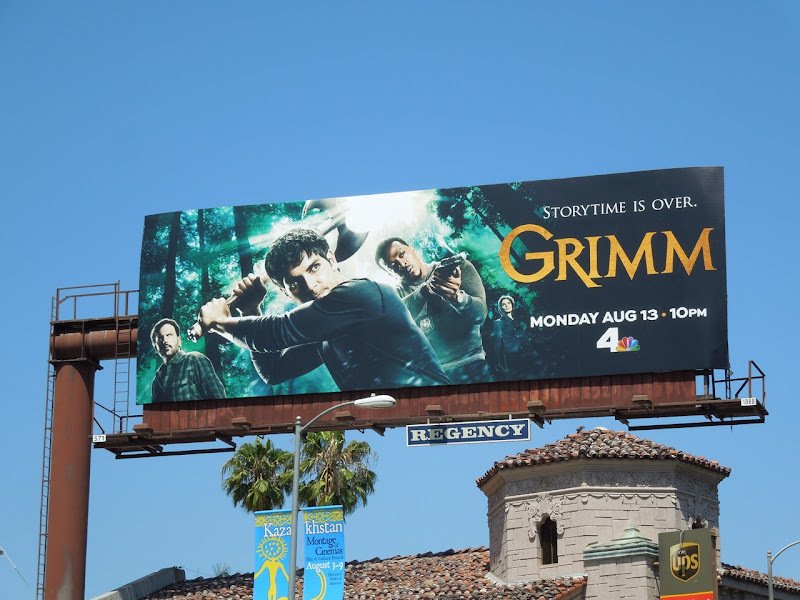 From the second season 'Storytime is over' tagline it looks like things are about to get even more interesting in a Nick's world, where hunters like him called 'Grimms' protect humanity from mythological creatures straight out of fables, legends and folklore (whilst still trying to solve everyday murders too). 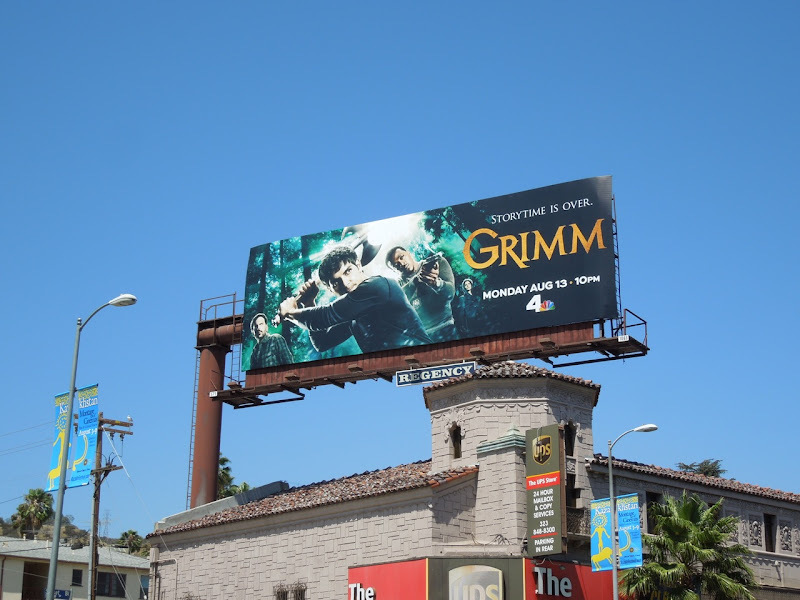 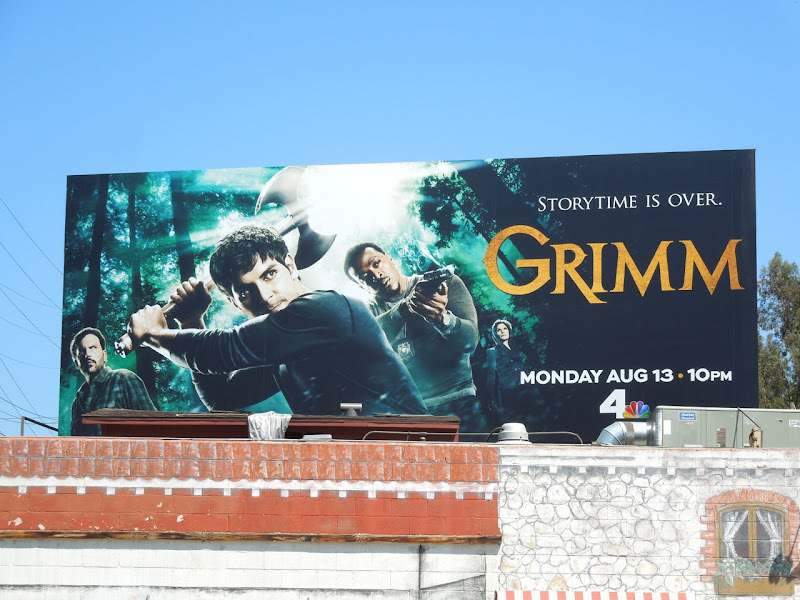 These Grimm billboards were spotted along Sunset Boulevard at Crescent Heights Boulevard, plus along Cahuenga Boulevard at Regal Place on July 16, 2012. If you're a fan of the show, be sure to check out these Grimm season one billboards and stay tuned in the days to come for even more new season and series premiere television billboards. 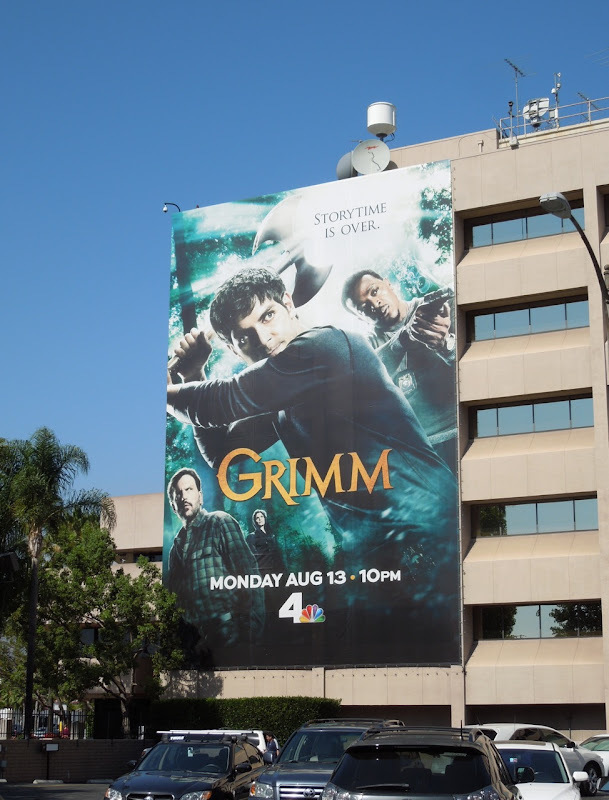 UPDATED: Here's also a giant-sized version of the season two billboard, snapped adorning NBC Studios in Burbank, California on July 31, 2012.